Triangle weave is an exciting beading technique. If you gain experience in the triangle weave stitch, you can make special, and interesting beading projects. You can use the triangle weave technique itself, but you can combine with other techniques and stitches, so you can create beautiful and unique jewelries. Beading secrets, Beading tutorial for beginners, Free beading tutorial, Triangle weave beading lessons. Beading lesson, Triangle weave tutorial. With my triangle weave lessons you can learn this technique step by step. Illustrations, photos, explanations, tips and remarks help you to understand the triangle weave. You can try the triangle weave lessons in the practice without risk with my free tutorials, already from the very first lesson. 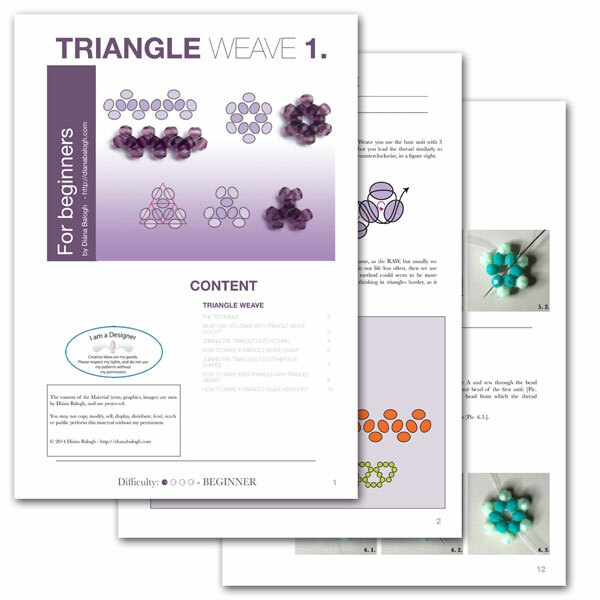 Enjoy my free triangle weave lessons! What can you make with triangle weave stitch? How to Make a triangle weave chain? How to Make a big triangle with triangle weave? How to Make a triangle weave hexagon? Simple, elegant, easy to make beaded ring. The Sibyl Ring is a piece of the Sibyl collection. You can make these earrings in two sizes: in 7 mm or in 11 mm. These are the tiniest beaded earrings. 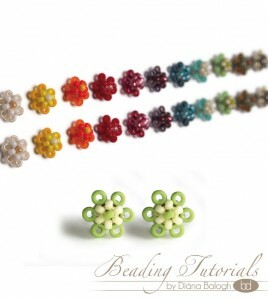 The Tiny Flower Earring is an easy-to-make FREE beading project. You can use the barrel bead in beading tutorials, where you need a 40 x 12 mm wooden bead, for example my Baroness beaded bead (see on the picture above). In this lesson you can learn, how to make a U-turn with triangle weave, and how to make a dual row triangle weave chain.